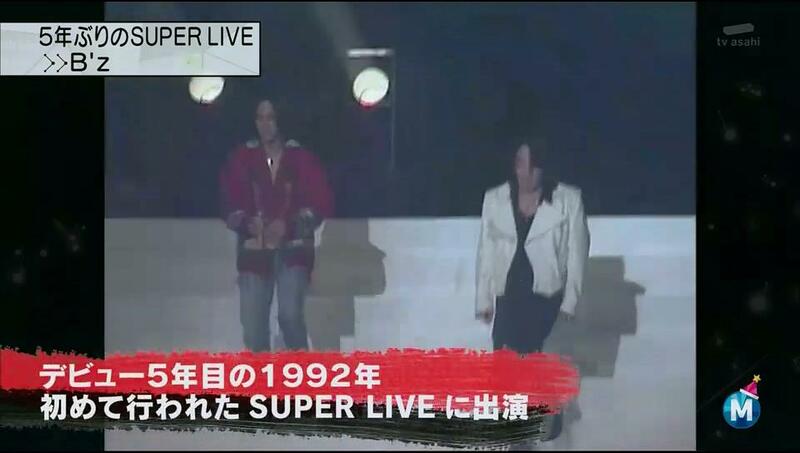 Music Station SUPER LIVE 2003 – IT’S SHOWTIME!! 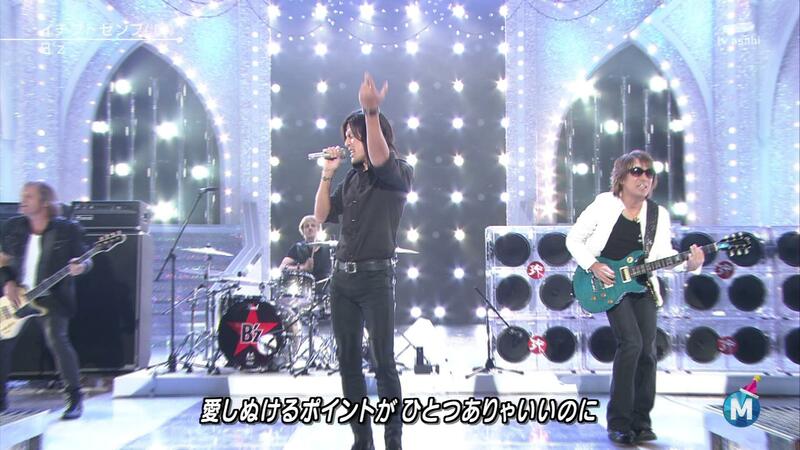 Since 2007, B’z have not been present on television as they used to. In 2008, the band was busy celebrating their 20th anniversary and the only time they appeared on television was during the 20th anniversary NHK special. The following year, in 2009, the band didn’t perform on television at all, except for a short comment recorded for their then latest single Ichibu to Zenbu. 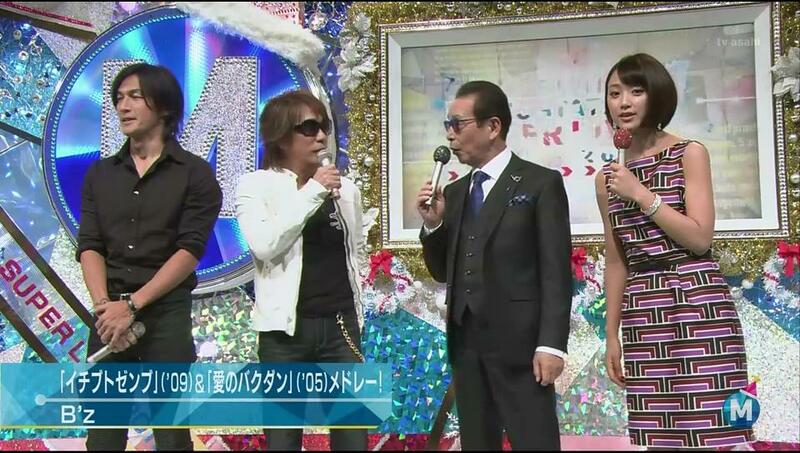 The last time B’z performed on television was last year, on April 1st, when they performed Sayonara Kizu Darake no Hibi yo and Brotherhood on a Music Station special. 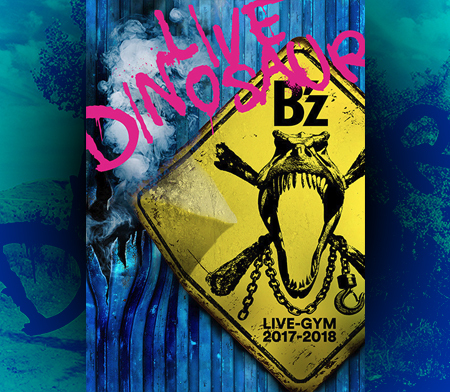 For the first time in 5 years, B’z is making an appearance on a Music Station SUPER LIVE. After having shed some light on the band’s history with Music Station, Tak and Koshi were interviewed by Music Station’s hosts Tamori and Takeuchi. They were asked what left an impression on them this year, to which Koshi replied “We’ve toured North America this year. I really enjoyed it”. Tak added “During our North American tour, I’ve gone sightseeing. I went to see the Niagara Falls, the Jimi Hendrix Memorial and such.”. Tak emphasized that the Niagara Falls are really amazing. Following the rather short interview, Tak and Koshi made their way onto the stage to perform Ichibu to Zenbu and Ai no Bakudan. In the intro to Ichibu to Zenbu, Koshi was jumping around like in previous performances of the song, already building up tension in the audience. The band was in really good shape that day such that both the band and the audience really enjoyed the performance. Koshi was smiling a couple of times on stage. When they finished Ichibu to Zenbu, Koshi kicked off Ai no Bakudan with a loud “MAKUHARI BABY! 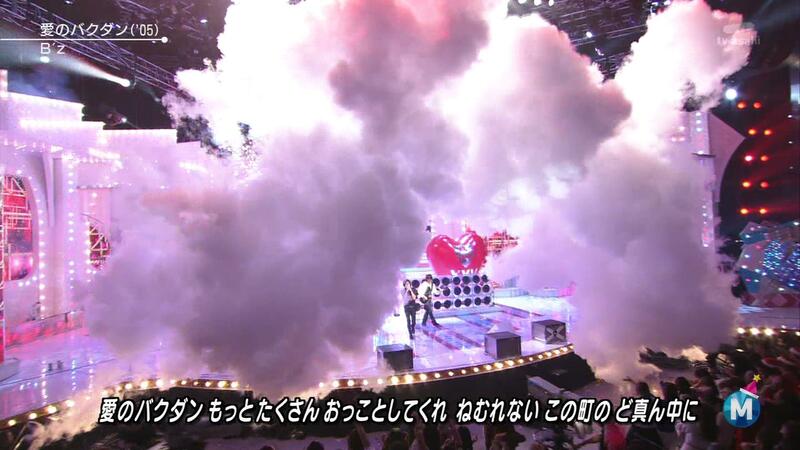 !” followed by an explosion and steam on stage. 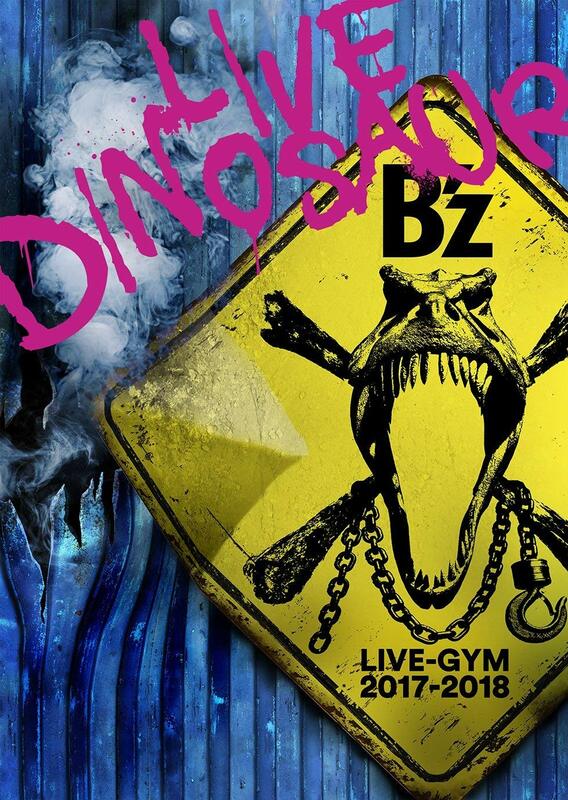 They also had black “B’z XXV” balloons floating over the audience in the hall which would later explode and bathe the audience in small pink balloons. When Tak broke into the solo part of the song, we were able to enjoy a completely new solo which is equally awesome. All in all, that was a very stellar performance by B’z right there! The only letdown were some mixing problems on TV Asahi’s behalf which led to strange audio on television. You don’t know much about TV live mixing right? Let me fill you up. I hope my explanation was clear enough. That sounds plausible, but the problem was already there when they started playing Ichibu to Zenbu. The guitar in particular was too silent. I also think that instruments were too silent. While vocals were ok, the rest was slightly able to listen, so you couldn’t fully enjoy Tak’s great solos. 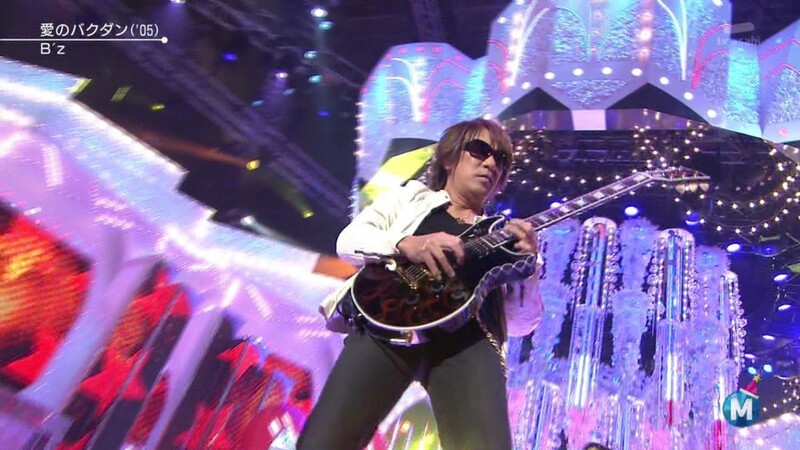 It’s not the problem with pop songs from other artists where instrumentals aren’t that interesting, but while B’z performance it is noticeable and costs a lot.